Violinist Brian Benning's curriculum vitae reads like a virtual who's who of the entertainment business. 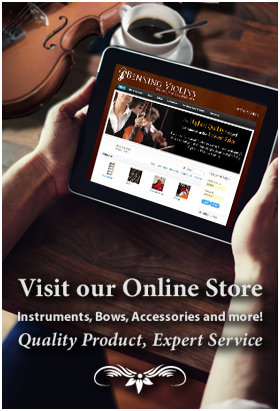 Brian is the son of violin makers Hans and Nancy Benning and the brother of violin maker Eric. 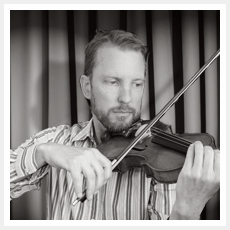 Brian plays and performs on a violin crafted with his own hands and is also an accomplished teacher, pianist and singer. Brian has performed with Clay Aiken, Josh Groban, Susan Boyle and Demi Lovato. He has recorded with Barry Manilow, Justin Timberlake, Bette Midler, Neil Diamond, Prince, Ray Charles, Diana Krall, Toni Braxton, Beyoncé and Norah Jones just to name a few. Brian has also appeared on stage with Anjelica Huston and Sir Ben Kingsley and served as piano coach to Jack Nicholson in the 1996 blockbuster As Good as it Gets. Brian can be heard on countless prominent movie and television soundtracks including Joyful Noise with Queen Latifah and Dolly Parton, This is it, Spiderman 3, Star Trek Deep Space Nine, Star Trek Voyager, Star Trek Enterprise, America's Got Talent and Ally McBeal. After spending 25 years in private study with Robert Lipsett, Manuel Compinsky, Linda Rose, Mike Ferril and Endre Granat, Brian has performed as a violinist with the Santa Barbara Chamber Orchestra, the Long Beach Symphony, the Civic Light Opera Orchestra, the Pasadena Symphony and the American Youth Symphony and as a vocalist with the Los Angeles Master Chorale. Brian is a much in-demand session player and freelancer who has become a vital part of the diverse Los Angeles music scene.